Netflix buys Orson Welles’ The Other Side of the Wind. 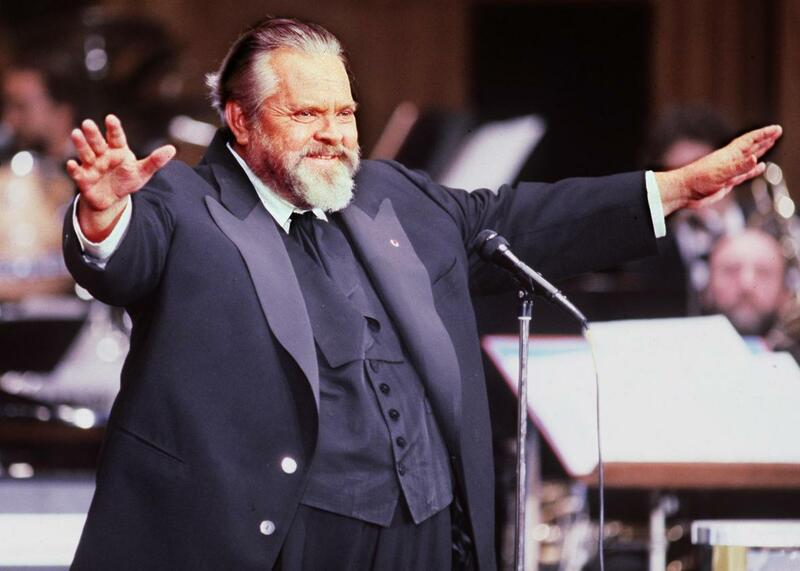 Orson Welles at the Caesar Awards in Paris in 1982. After a contentious development process that spanned decades, The Other Side of the Wind, a film left unfinished by Orson Welles at his death, has finally found a home at Netflix, according to the New York Times. The film, in which John Huston plays a fading film director modeled loosely on Ernest Hemingway, is something of a legend in cinematic circles. Welles shot it in the early 1970s but was plagued by financial and legal troubles and he never assembled a finished version. Besides Huston, The Other Side of the Wind features Welles protégé Peter Bogdanovich, Welles’ partner and co-screenwriter Oja Kodar, and Susan Strasberg. The film is ostensibly a found-footage reconstruction of a disastrous birthday party for Huston’s character that ends in either his accidental death or suicide. It also includes excerpts from an avant-garde film-within-the-film that is meant to be Huston’s character’s comeback, which gave Welles the chance to spoof Antonioni. It’s not the first time The Other Side of the Wind has been in the news of late—back in 2014, it seemed the rights issues had finally been resolved and producers hoped to screen the film on Welles’ 100th birthday, May 6, 2015. That didn’t happen; financing fell through, and after an Indiegogo campaign didn’t raise enough money to finish the film, the production team went silent. After further renegotiations with the original rights-holders, however, they were able to negotiate a deal whereby Netflix will help complete the film. The original footage has already arrived in Los Angeles and Marshall and Bogdanovich are reconstructing a cut based on Welles’ notes. Netflix chief content officer Ted Sarandos describes the project as “a labor of love” but refused to estimate when the film might be released. Still, Marshall, who worked on the film in the 1970s as a line producer, is determined that audiences will finally get the chance to see it, thanks to technology Welles couldn’t have imagined. “I’m not going to be defeated here,” he told the Times.